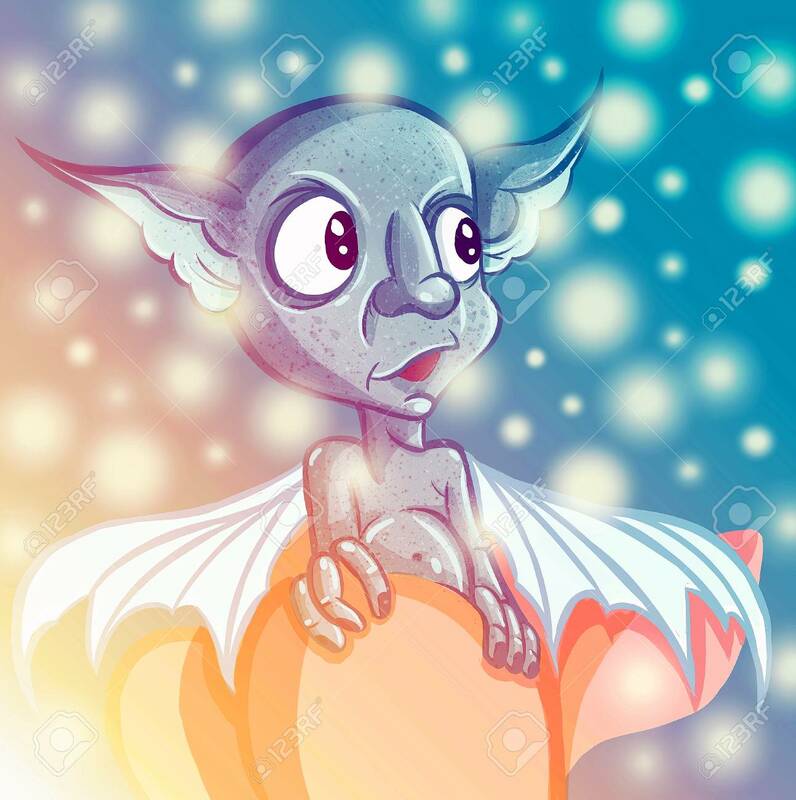 Immagini Stock - Happy Cartoon Gremlin Monster. Halloween Goblin Or Blue Troll And Big Ears. Illustration Image 115534045.